Marty Guerin is the founder of Elephant Surf – a San Diego surfing company making a revolutionary lower body rash guard and compression short for surfers to wear under their boardshorts, called the Trunks. Marty’s domain caught my attention and I thought I’d ask him about it. Mike: Can you give a little background on your Elephant Surf? Marty: We’ve been in business for about 3 months now, with a lot of help from friends, but only one official employee – myself. Since the company only sells online, the site has been online since the inception of the company – 3 months ago. Mike: elephantsurf.com is an interesting name. Tell me how you came up with it and what you were looking for in a domain name. Marty: It was a simple choice really; Elephant Surf is the name of the company. What better way to maximize SEO for the website than to have the search words right in the domain name? Also, it’s only two words and it’s pretty unique and memorable. When I tell people the website address, they always remember it the first time without me ever having to tell them again. Mike: Your main page has a great image/marketing angle, that I won’t give away. Do you receive many comments on that? Marty: We receive tons of comments on that. I don’t want to give it away either, but without saying too much, people usually say that they burst out laughing the first time they visited the site. We hope that people will tell others to visit the site if only to check out the homepage. It’s also a little bit of a teaser and makes people wonder what our flagship product is rather than shoving it in their faces the second they land on the site. Marty: Day to day it varies widely – anywhere from 30 to 350 unique hits per day, and rising. Mike: How do you market your site? Marty: We use a variety of different advertising/marketing methods. From conventional advertising like banner ads on surf websites and Google AdWords, to more fun and local approaches, like our Beach Stamp campaign that we ran last summer and plan to run again this summer. There are some pictures and a description on our blog. We also use facebook and twitter, especially during promotions like the Vote for a Free Tee Giveaway we ran last month. Using social media to drive site traffic isn’t really a sustainable method, but to get the word out quick about a promotion or a new product, they are awesome. Mike: What would be the best tip you could provide to others looking to start online businesses? Marty: Be a sponge and soak up absolutely everything you can about online business, SEO, marketing/advertising, etc. Blogs just like this one are an incredible resource – use them. Also, have a sweet website. No one wants to buy from someone using a template and PayPal buy-it-now buttons. Marty: Don’t Surf Naked. Seriously. Are we in the second push for .CO? Do you have paper feet? What’s all the buzz about this domain? 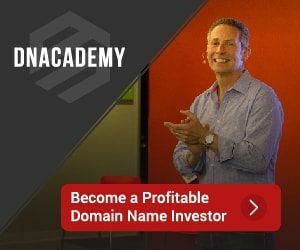 Organic Domains – Do you qualify?